Marie Kondo’s “Japanese decluttering book” has taken the world by storm. The book details the author’s philosophy about organizing and decluttering, and gives step-by-step instructions for decluttering one’s home. She calls her steps the “KonMari Method,” and promises that it will change the lives of those who follow it. Thousands of people say it has, but plenty have voiced skepticism. 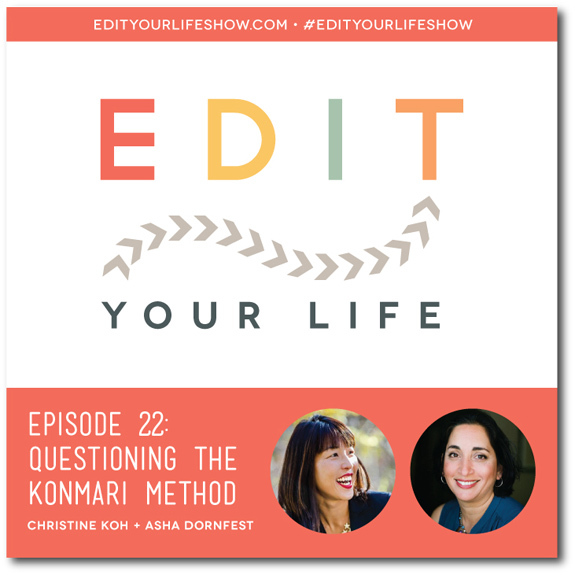 In Episode 22 of Edit Your Life, Asha and I touch on different aspects of Kondo’s approach, and share our reactions -- both positive and negative -- to her method. It's super easy to listen right through this blog post (press the play button in the podcast player below) or via an app on your device (e.g., the Podcasts app for iPhone or Stitcher, Podcast Addict, or Pocket Casts for Android). If you're not seeing the Soundcloud player, you can listen to Episode 22 directly on Soundcloud. Tell us about your experience with the KonMari Method via your favorite social profile with the hashtag #EditYourLifeShow and let us give you a fist bump, or possibly a unicorn. 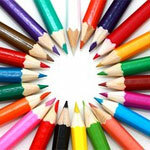 You can also find us on the Edit Your Life Facebook page, or e-mail us at edityourlifeshow@gmail.com. If you found our show helpful, we’d be so grateful if you’d leave a review on iTunes!